It was 20 years ago today, Aug. 13, 1998, when the Bay Area Reporter ran its famous “No Obits” story. For the first time since 1981, the paper had no AIDS-related obituaries to run. The news made the front page, and now the original writer of that piece, Timothy Rodrigues, has returned to the Bay Area Reporter to reflect on his article and its significance. The Bay Area Reporter, San Francisco‘s famed LGBTQ newspaper, famously ran in-depth obituaries on members of our community that died from HIV-related illnesses. The paper became one of the first to encourage people to submit photos of their lost loved ones, along with real reflections of the people lost. The Reporter received praise for running these in-depth obituaries for everyday people and not just the famous victims of the HIV crisis like Gay Games founder Tom Waddell. The “No Obits” story was controversial even at the time. 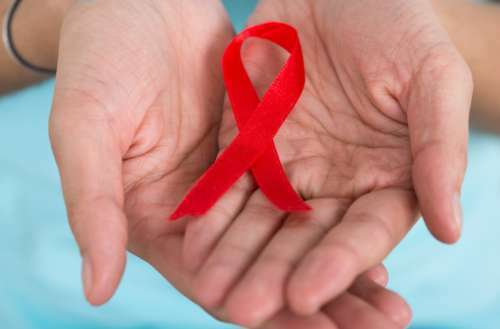 Bay Area Reporter staffers debated whether or not the headline would give the false impression the HIV epidemic was over. 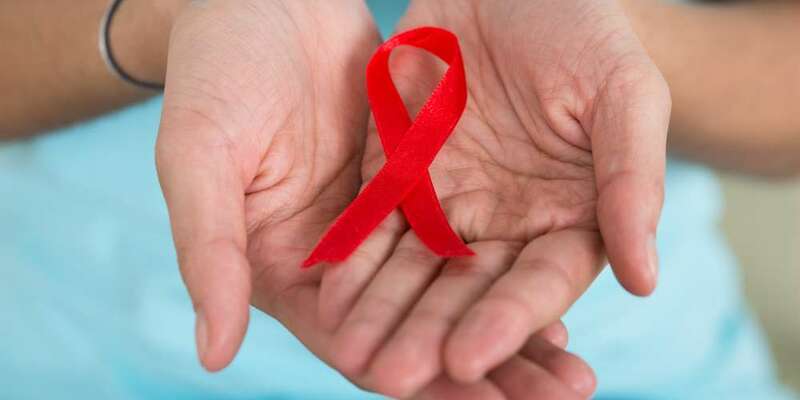 Rodrigues wrote that Salinas chose him to write the “No Obits” piece both because of his work at an AIDS nonprofit, and his own recent HIV diagnosis. Thankfully, with advances in treatments like PrEP and anti-retroviral treatment, Rodrigues remains healthy and happy. 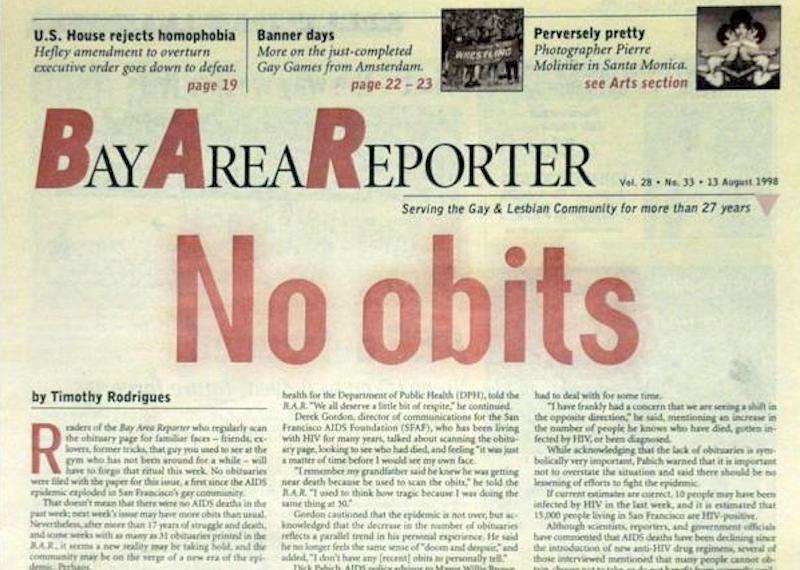 Were you in San Francisco in 1998 to see the original release of the “No Obits” issue of the Bay Area Reporter?